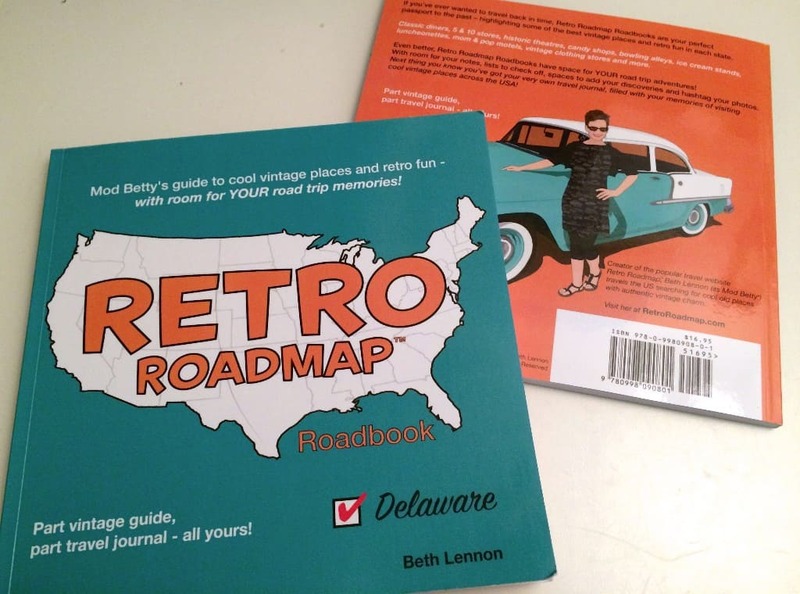 Retro Roadmap Roadbook Travel Guide – Delaware – Now Available! Ta-da! 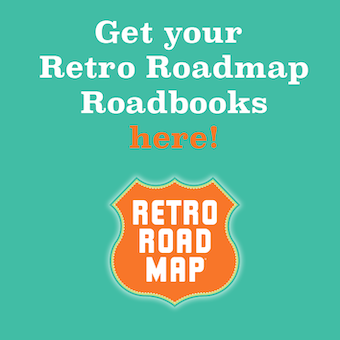 My very first Retro Roadmap Roadbook is now available, bringing you “Mod Betty’s favorite Cool Vintage Places and Retro Fun” in a handy to take along travel guide. But it’s a lot more than that…. I started with Delaware and am creating more for each state, highlighting the Cool Vintage Places and Retro Fun that still exists there, before they all disappear -! From diners, luncheonettes, movie theaters and candy stores to hamburger stands, 5&10s, mid-century motels, drive-ins and more, the Retro Roadmap Roadbook series helps you discover – and visit – the places with authentic vintage charm that remain in each state. Visit them and you’ll feel like you’ve stepped back in time, instead of just into another generic national franchise. With the power of self-publishing I have created a new type of travel book, with features I have always wanted in a guidebook but never seen, until now. Organized to be both handy and fun – it will help you easily discover unique places to visit along the American roadside, with space for your retro roadtrip memories. 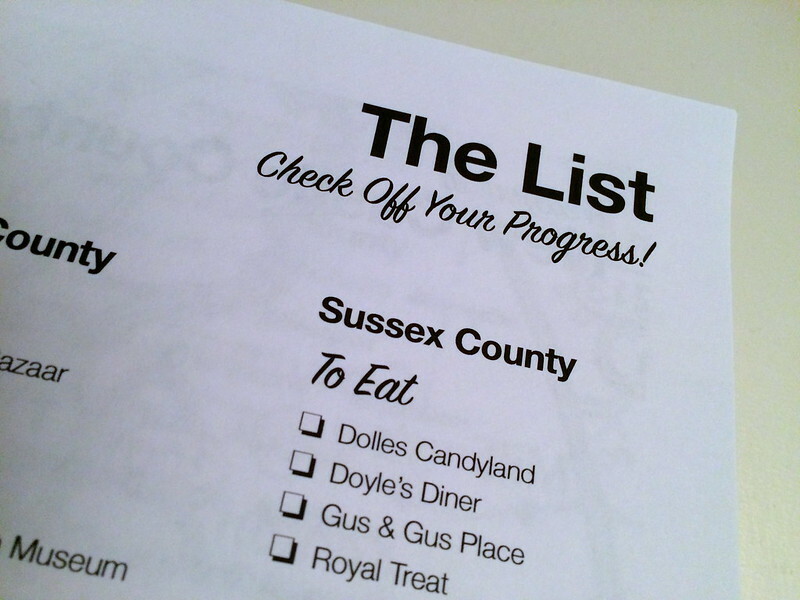 A checklist at the front of the book, organized by county, where you can easily keep track of where you’ve gone – and where you still need to visit! Each location falls under one of the following categories – To Do, To Eat, To Shop or To Stay, to make deciding where to go a breeze.  Each location’s entry has information and photos of the place, but also includes an area for you to jot down notes about your visit. Suddenly the book is transformed from a one-size-fits-all guide into YOUR very own personalized travel journal, so you can remember the fun and adventures you had on your retro roadtrip! 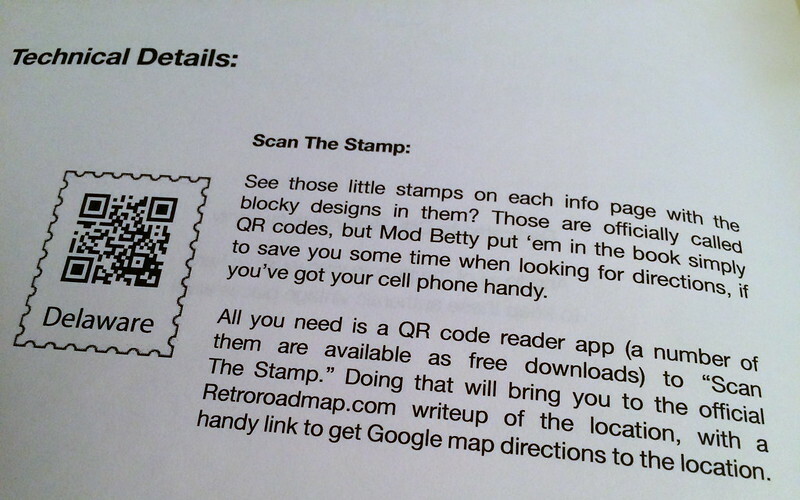 Use your mobile phone to easily find directions to each location, simply by scanning the QR code stamp on each page. Linked to the RetroRoadmap.com writeup for the location – just press the orange button and you’ll get step-by-step Google Map directions! Did you discover a hidden gem or favorite location not listed in the book? Just add it here to ensure your book includes all of YOUR favorite places, for future reference! Retro Roadbooks aren’t meant to sit on the shelf, in perfect condition. Bring ’em along with you, write in them, make them your own, and you’ll have a travel journal to always remind you of the fun you had on your retro roadtrip! including places To Eat, To Shop, To Stay and things To Do. Stay tuned for more Roadbooks to become available, too! 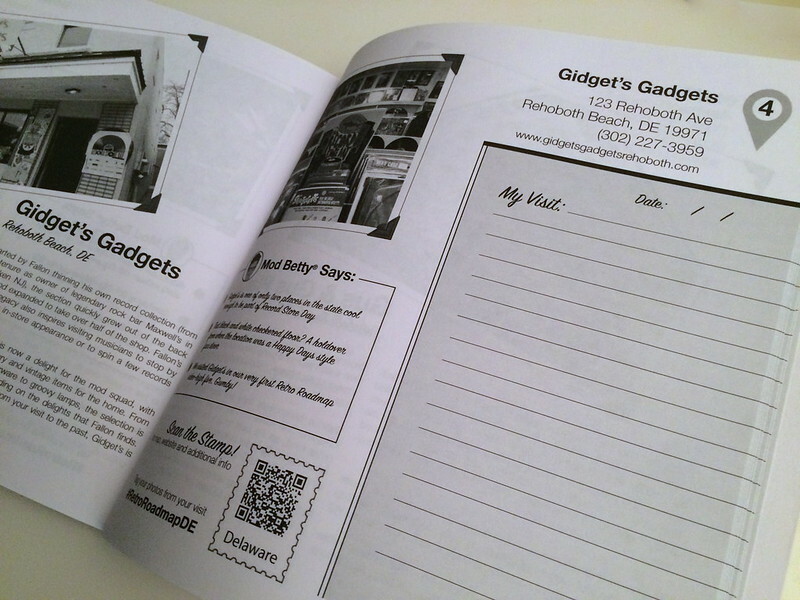 Currently available at Gidget’s Gadgets in Rehoboth Beach, and Eclectica in Bellefonte (with more bricks and mortar locations being added soon!) or online from Mod Betty directly, by using the button below!